Studio essentials pop-up backgrounds are designed to give you a variety of high-quality background options that require very limited setup time, store neatly, travel well, and ultimate look great! each background measures 5’ x 6.5’ and can be used either vertically or horizontally, depending on your shot. 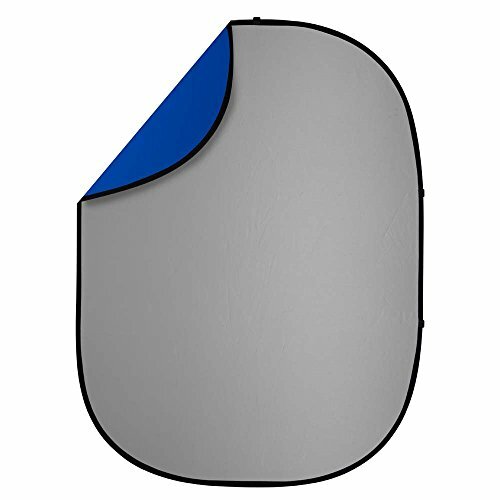 Velcro fasteners on the top and side of each background allow you to secure your background to a stand and prevent any movement during your shot. The studio essentials solid color reversible backgrounds are great for creating clean looks without any textures or patterns. PLEASE Note that all muslin backgrounds are hand-dyed, meaning the patterns will vary between each background. Eliminate wrinkles with a hand steamer. Do not iron. All studio essentials pop-up backgrounds should be gently wiped down with a wet rag should they need cleaning. Using detergents or other cleaners will damage the background.